Whilst researching the article Our Gorgeous Gorge I came across this article from www.zimdiaspora.com, published in December 2012. The centuries old dream to make the Zambezi navigable from its delta on the Indian Ocean as far as the Victoria Falls is still alive, with an undisclosed investor willing to put in US$10 billion to further the project. Last Wednesday, Public Works Deputy Minister Senator Aguy Georgias met the ambassadors for Malawi, Zambia and Mozambique in Harare to give an overview of the new plan for the Zambezi seaway. “I urge you to approach your principals in your different countries and sell the idea to them so that we sign a memorandum of understanding and begin work on the Zambezi banks immediately. “There is an investor with US$10bn waiting to inject the capital once the memorandum of understanding is signed and the four countries form a company to run the project. “I cannot reveal the identity of the investor at this stage,” Sen Georgias said. The seaway would cut freight costs that have rendered trade unviable among the countries and other global players. Sen Georgias said the project would involve (dredging) opening up or deepening the banks or riverbed of the Zambezi River to allow ships to sail from the Indian Ocean to as far afield as Victoria Falls and back. Right from the beginning of Portuguese exploration of the east coast, the dream of opening a route into the interior along the Zambezi has been mooted. Several major difficulties have always stood in the way. First, the Zambezi enters the Indian Ocean through a delta with constantly shifting channels. Secondly, there are a number of rapids along the river. But the Cabora Bassa and Kariba Dams have flooded two of these major rapids, and the Batoka Gorge Dam will flood a third. It was with the opening creation of the Cabora Bassa Lake that the old idea was revived, since with lock gates at the dam and dredging of the main delta channel a route would be opened right up to the Mutapa Gorge downstream of Mana Pools. 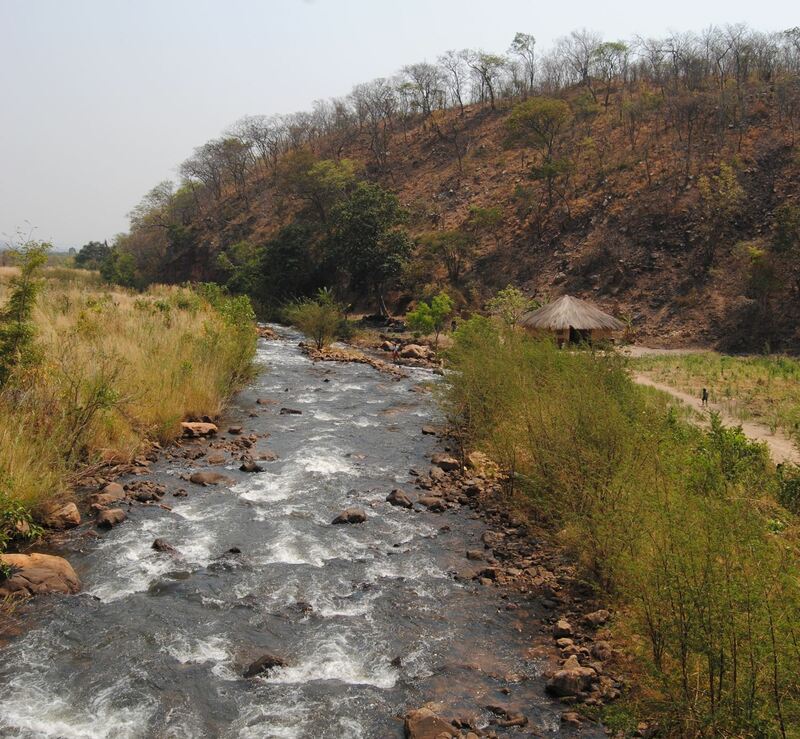 Malawi would connect to the seaway via the basically navigable Shire River. “This is a mammoth project. It has a big economic significance to Zimbabwe and her allies. It will help cut transaction costs. At the moment export and import charges account for 80 percent of the cost of doing business,” commented Sen Georgias. On completion the project is expected to make trade smooth among SADC states and beyond with particular emphasis on the slashing of freight charges that the countries would enjoy. The project is the brainchild of Sen Georgias who has since requested President Mugabe to be its patron. Sen Georgias said they expected to complete the project within 18 months once it gets underway. Perhaps we have misunderstood and there are no dams to be built on the Zambezi! !